Product prices and availability are accurate as of 2019-04-21 05:43:36 EDT and are subject to change. Any price and availability information displayed on http://www.amazon.com/ at the time of purchase will apply to the purchase of this product. 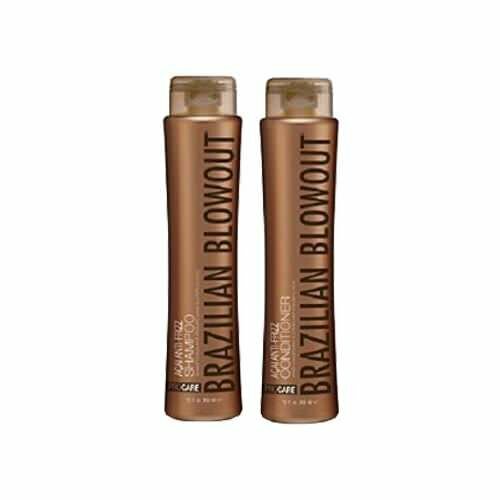 A specially formulated conditioner extends the life of the Brazilian Blowout by infusing the hair with vital moisture and essential nutrients while coating the hair with smoothing proteins that fortify and seal the cuticle. Locks in moisture, locks out humidity, protects hair color and promotes smooth, radiant, frizz-free hair. Brazilian Blowout Açai Hair Care is an aftercare product regimen developed for the sole purpose of extending the life of the Brazilian Blowout Professional Smoothing Treatments.